IBB, Yemen – Shukria was married off at just 9 years old. The wedding was arranged to settle a debt her family owed to a 50-year-old man. “He told my father he would forget the debt and give even more money if he could take me as his bride. So that is how I got married,” Shukria recounted. As her husband’s second wife, she was the same age as some of his children – yet her childhood was over. She was forced to drop out of school to attend to domestic responsibilities. Over the years, she had 10 children. 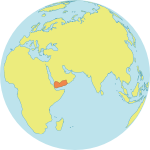 Twenty-five years later, they purchased a home in Yemen. But soon after returning from abroad, Shukria’s husband divorced her, remarried, and sold the house. “I can handle him getting another wife, but what really broke my heart was that he simply sold the house without my knowledge. When I heard this, I felt all my efforts in life had washed away,” she said. But she and her children were not safe there. They were attacked by a gang, and her children got into trouble trying to defend the home. Then her husband and nephew tried to sell the house despite her protests. Eventually, they succeeded. Shukria and her children were thrown out. “Shukria came to us seeking help for the injustices that she had succumbed to,” said Hayat Al-Kaynaee, head of a women’s centre in Ibb run by the Yemeni Women’s Union, a UNFPA partner. “Many women like Shurkia in Ibb are denied resources and access to wealth for the mere reason that they are women,” she explained. Women in Yemen are highly vulnerable, not only to abuses like child marriage, but also to poverty and violence. They have less access than men to medical care, property ownership, credit, education and training. In 2013, UNFPA and the British Council launched the Springboard programme in Yemen. The programme, already operational in over 30 countries, aims to economically and socially empower vulnerable women. Trainers help women identify their personal and professional goals, then support them in developing the skills needed to achieve those goals. The women’s centre helped Shukria join the Springboard programme. Now 55, Shukria is completing her second year of university, majoring in Guidance and Psychological Support. The conflict in Yemen has made life even more difficult for women and girls. Families are increasingly turning to child marriage to cope with the growing hardships. Violence against women also appears to be escalating. The Springboard programme initially had to be halted because of the insecurity. But earlier this year, UNFPA and the British Council managed to resume operations, this time focusing on women living in displacement. Grants are being provided to assist vulnerable women with income-generating projects. As for Shukria, she wants to use her second chance to help other women. The 2017 Annual Report for the UNFPA-UNICEF Global Programme to Accelerate Action to End Child Marriage analyses the progress being made towards ending child marriage. The 2017 Country Profiles for the UNFPA-UNICEF Global Programme to Accelerate Action to End Child Marriage highlights key results and opportunities towards ending child marriage in 12 countries.